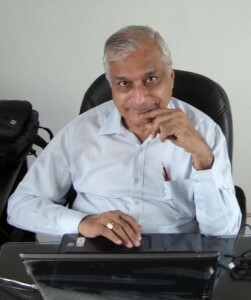 I, Satyendra Kumar Sarna, am associated with the steel industry since 1965 (Around 50 years). In this long period I was associated with all the aspects and all the areas (From cradle to gate) of the steel industry which includes Design (From concept to Commissioning), Project, Operation, Maintenance, All levels of Management, Quality control, R&D, Safety and Environment control etc. I was a lead assessor and was MR as well as CEO and had successfully implemented and maintained ISO 9000, 14000, OHSAS 18000 group of standards and TQM at RINL. My contribution was maximum in the turnarounds of VSP (RINL) and NINL. I brought many modern steel making technologies to India. Examples are TMT bars, Dry quenching, bell less top, cast house slag granulation and many more. I am a metallurgist who uses his thorough theoretical knowledge of metallurgy into practice. I have led from front many projects at Bokaro Steel Plant, VSP (RINL) and NINL. These projects had helped these plants to debottleneck in enhancing operational performance as well as to control the cost. My contribution was maximum in the turn around of these two organizations.